Mesothelioma.net reviews the wide array of latest advances in treatment and care for patients affected by the challenging cancer as we slowly march forward to eliminate the condition. The treatment options for mesothelioma, a rare type of cancer most often caused by asbestos exposure, is riddled with complications. 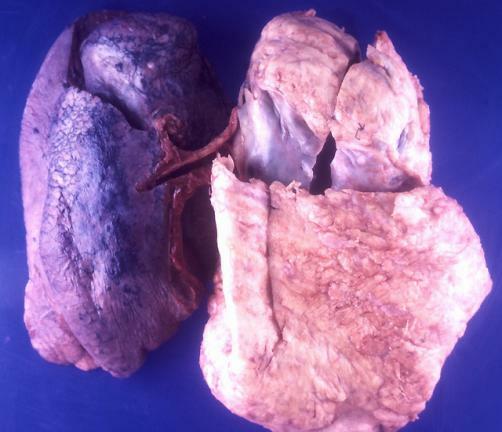 This cancer attacks the lining around the lungs, the pleural tissue, in most cases. It may also begin in the peritoneum around the abdominal organs or the peritoneum around the heart. It is aggressive, difficult to diagnose, and often tricky to treat with surgery. Most patients diagnosed with pleural mesothelioma are not good candidates for surgery as a treatment. This leaves the only treatment regimen that is actually approved by the Food and Drug Administration for non-resectable mesothelioma: a chemotherapy combination of pemetrexed and cisplatin. Researchers are hard at work though, developing better chemotherapy drugs, new combinations of therapies, and completely new kinds of treatments using the immune system and genetics, to find a better way to manage this cancer. Any type of cancer presents unique challenges for treatment and for managing symptoms and making patients more comfortable, but mesothelioma is among the most difficult. The latency period between asbestos exposure and development of symptoms is long, often decades, so the first challenge is that diagnosis often occurs only after the cancer is in later stages. Because mesothelioma is rare, getting the diagnosis right can also be difficult. It is often misdiagnosed initially, as a more common lung ailment like pneumonia. Even when it is recognised as cancer, cases of mesothelioma are often first diagnosed as lung cancer. This is a particularly aggressive cancer. It spreads quickly, complicating treatment. It also tends to grow as multiple small tumours rather than a few large tumours that can be more easily removed with surgery. Later stage symptoms of mesothelioma can include difficulty breathing and chest pains, and managing these goes hand-in-hand with trying to slow cancer growth. With all of these challenges, life expectancy outcomes are not usually positive for mesothelioma. However, new treatments and new attitudes about improving quality of life and managing the cancer as a chronic disease rather than trying to cure it are giving patients hope. One exciting new field of research in cancer research and that may benefit mesothelioma patients is the use of gene therapy. This therapy involves adding new genes to cancer cells to help make them easier to destroy. Viruses are typically used to deliver new genetic components specifically to cancer cells. One example of a gene therapy approach being tested is using a gene that stimulates the patient’s own immune system to turn on the tumour and kill cancer cells. Another strategy undergoing testing is often referred to as suicide gene therapy and may be a type of targeted chemotherapy. Traditional chemotherapy essentially involves injecting a toxic compound into the bloodstream. It targets and kills cancer cells but also healthy cells. With suicide gene therapy, a virus is used to deliver genetic material to cancer cells. When these new genes are activated they produce an enzyme within the cells that converts a harmless chemotherapy drug into one that is toxic to the cells. Immunotherapy is a relatively new type of treatment being used for a variety of cancers. Important advancements have been made, but it is not yet as widely used as the big three cancer treatments: chemotherapy, radiation therapy, and surgery. The term immunotherapy encompasses several strategies that involve boosting immune activity to destroy cancer cells or to inject synthetic immune components to target tumours and cancer cells. An ongoing clinical trial is testing a new immunotherapy drug, atezolizumab, in patients with pleural mesothelioma in stages one through three. The trial involves an aggressive treatment approach, for which researchers are hopeful. It includes use of the immunotherapy drug as well as chemotherapy, and surgery, as well as radiation in some patients. Atezolizumab, or Tecentriq, is a monoclonal antibody that blocks a cell-surface receptor protein and prevents cancer cells from halting immune system action against them. It is similar to the more widely used Keytruda. An important part of the current clinical trial is to determine if the use of radiation with immunotherapy could boost survival rates. Another important clinical trial is ongoing with researchers from the University of Leicester in the United Kingdom. It is approaching treatment of cancer from an approach of personalising medicine. The idea is to look at a patient’s DNA and match therapy to each individual. A one-size-fits-all approach to choosing medicines for treating mesothelioma has so far not been very successful. This is true even with more advanced drugs, especially immunotherapies. Some patients have responded very well to immunotherapy drugs, while others do not respond at all, due to genetic differences. Targeting individual variations in DNA may help oncologists make better selections for treatments. In this latest clinical trial, researchers will be testing for biomarkers and analysing each participant’s molecular profile from a tissue sample to select a treatment. After going through the prescribed treatment the patients will undergo genomic analysis to determine why each one did or did not respond well. The researchers also hope this analysis will help them figure out why some drugs work for a while before the tumours develop resistance to them. The treatments being tested are relatively new drugs. They include the immunotherapy combination of atezolizumab with becacizumab and another combination that is currently used to treat breast cancer. One option is abemaciclib, a drug that targets a tumour suppressor protein, and another is rucaparib, which targets DNA repair enzymes that keep cancer cells replicating. Curing mesothelioma is very rare. Some patients see remission of a decade or more after extensive surgery or if the cancer is diagnosed in the early stages, and while this may be considered a cure it is not a typical outcome. Instead of being aggressive in treatment for even late-stage patients, many medical teams are placing more focus on extending lifespan, managing symptoms, and treating this disease more as a chronic condition that may go into remission and recur. Prominent experts in mesothelioma treatment and research are moving toward this attitude shift in how the cancer is managed. Some drugs are being used in clinical trials, sometimes in combination with others that may extend life expectancy for mesothelioma patients, including one called imatinib. This drug has been found to boost the effectiveness of others, slowing down tumour growth. Drugs like these could be a big part of future treatments for mesothelioma, slowing the progression of the cancer, which in turn reduces symptoms and provides patients with a longer life expectancy and better quality of life. Some researchers are also targeting and placing more emphasis on the need for better palliative and psychosocial care for mesothelioma patients. One study found that the uncertainty and the loss of control when getting a diagnosis and poor prognosis for mesothelioma leads to significant distress and mental health issues in patients. The study also found that early palliative care and psychological treatment can reverse these symptoms and offer patients better support. There is still hope that a cure for mesothelioma is out there waiting to be discovered. Many researchers are still working on this problem and are coming up with newer, better therapies to target the cancer from different angles. A cure may be coming, but what is certain is that treatments are getting better, patients are living longer, and they are enjoying more comfortable lives with fewer symptoms.